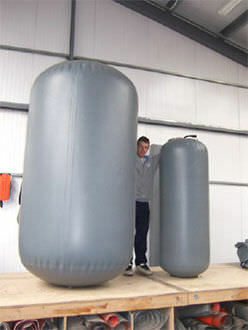 There are many situations where large inflatable fenders or superyacht fenders are required to prevent damage. Marinas, fuel berths, pontoons, construction environments and yacht moorings are just a few. 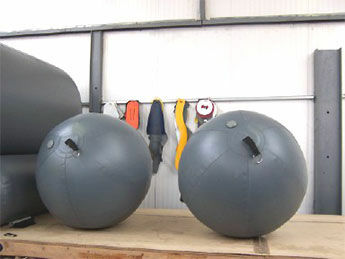 In this situation the standard yacht fenders available from chandlery sources are often inadequate. This is where our custom Superyacht Fenders and giant Inflatable Fenders come into their own. They are ideal for superyachts, large yacht fenders, pontoons, or work boats requiring maximum protection, and they require a minimum of stowage space once deflated. 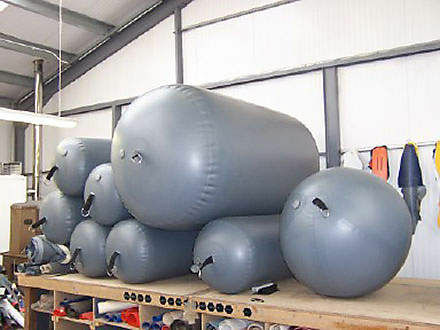 Manufactured from the well proven material, Orca Hypalon 866, these large yacht inflatable fenders are tough enough to withstand heavy impacts and abrasion, yet can be inflated/deflated using foot or electric dinghy pumps and are fully repairable. High strength attachment points ensure that, once in place, Superyacht Fenders provide a buffer against excessive impacts. 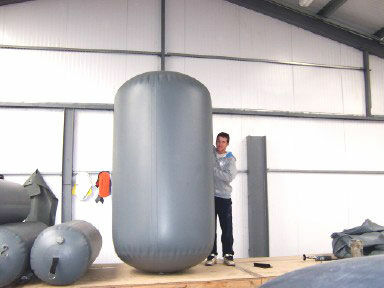 We can manufacture large yacht inflatable fenders to any size or specification as required. For colour options please click to see our Orca Hypalon page. Please note that only colours for Orca 866 are available. We can also supply Fendequip fender covers available in navy blue, royal blue, black or red. These stop any scuffing on your top sides caused from fender rubbing.